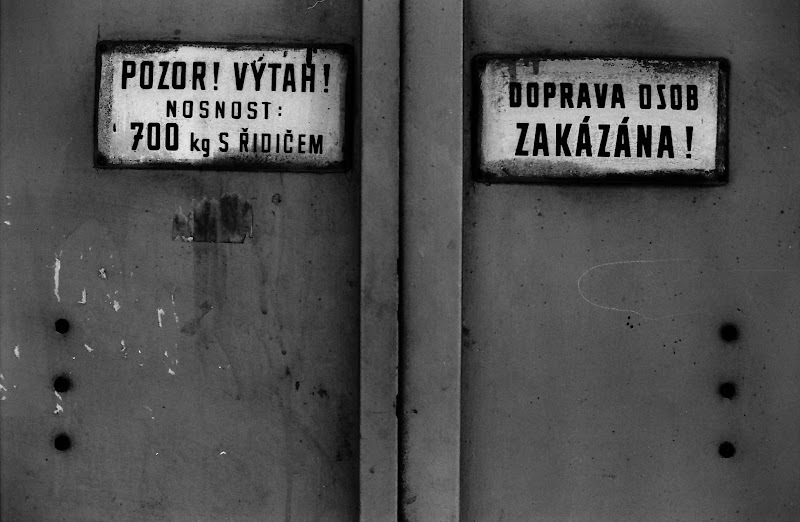 Elevator door near my photo store close to Narodni trida. It looks very unused. And this is where I usually put the new film in a camera. The photo store itself is in Vladislavova street and if you're around ask for "the box with 50 Kc films". There are just expired films, all for 50 Kc (that's about 2 Euro), and sometimes you can find a real bargain!